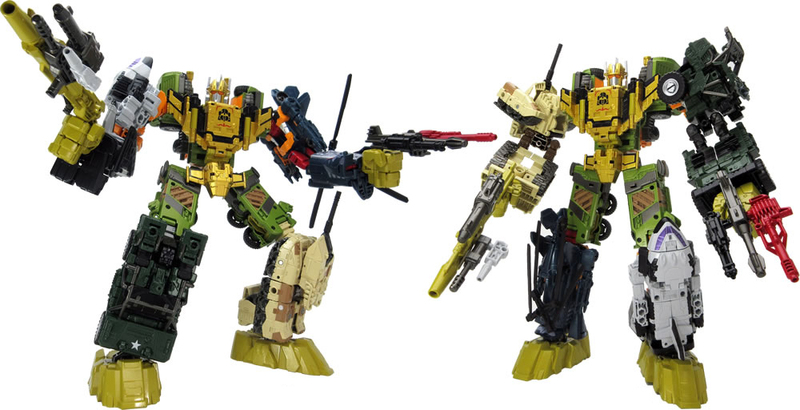 UW-EX Baldigus is a five pieces combiner bot with the figure Mega Octane as the main torso piece. 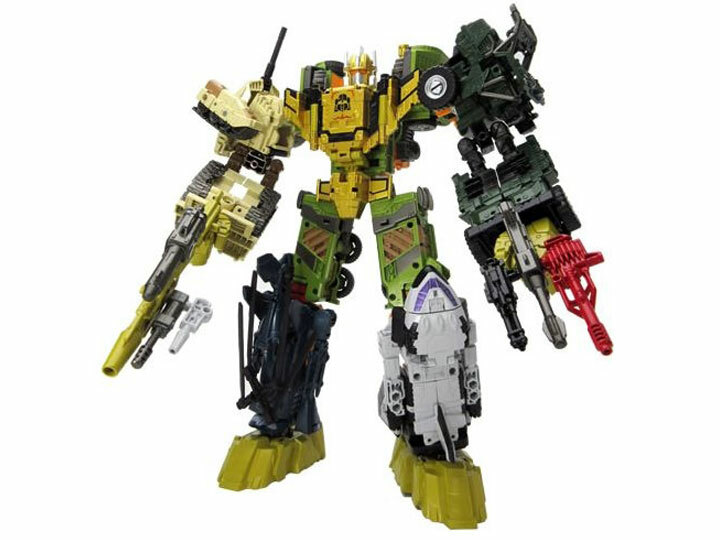 Armorhide, Rollbar, Mover, and Rotor make up the arms and legs and they can be attached in any position that you wish. 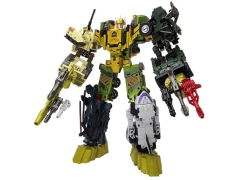 Also included are the combiner feet hands and connector pieces as well as personal weapons for each of the bots.